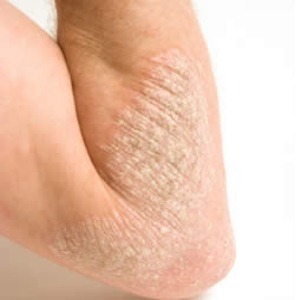 Eczema is a serious but very common skin disorder. It is a condition where the skin becomes extremely dry or inflamed. Apart from making the affected person uncomfortable it is also unpleasant to look at. Organic coconut oil which is obtained from the coconut fruit is also called the king of oils and is said to be the best natural cure for eczema. It is extracted from the dried inner flesh of coconut. It is claimed to have been used for centuries to control dandruff and other skin treatments, along with providing a remedy for eczema. Thus, coconut oil has quickly gained popularity for its healing and repairing benefits. Let us see how coconut oil works for eczema. However, it is important to note that only organic coconut oil should be used; not a refined, scented or bleached variety. • Coconut oil contains anti-inflammatory properties. Lauric acid in the oil is known for its antibacterial and anti-viral properties. Besides, it aids in fighting fungal infections, hence giving it an anti-fungal attribute as well. Therefore, organic coconut oil helps keep the area clean and prevents infection. • Coconut oil gets its healing benefits from the medium chain of fatty acids (MCFA) that help the oil penetrate into the cell structures of connecting tissues, which in turn enable the tissue to heal and repair. • Coconut oil helps maintain the natural chemical balance of the skin, which when combined with the MCFA form a protective layer preventing infection and disease causing organisms. • The MCFA in the coconut oil helps increase blood flow to the skin, enabling the destruction of free radicals that cause inflammation and irritation. • Coconut oil is a great moisturizer for the skin. It penetrates quickly and helps keep the skin soft. Plus, it stops the itching and flaking caused by eczema. In fact, it has a soothing effect on skin and provides immediate relief from itching and redness associated with this skin disorder. • Compared to other creams or lotions coconut oil is easy to apply, and even easier to massage onto the skin. • Using soap when bathing damages the protective layer of the skin. Therefore, applying coconut oil after taking a bath aids in restoring the protective medium chain fatty acid layers and creates a natural antimicrobial barrier. • The affected area should be clean and then the coconut oil should be applied on it, the oil should be at room temperature. • It is better if the oil is not rubbed in but rather left for the skin to soak up. It may take the same amount of time that it does for a regular moisturizer to be absorbed by the skin. • The best time to apply the oil is after a shower. However, it may be required that the oil be used three to four times in a day, depending on the severity of the condition. • It is also of vital importance that the coconut oil be applied at bedtime, as this will enable it to be well absorbed by the skin over night. In addition, it shall help one sleep better, because the itching is likely to disturb sleep if not taken care of. • It may be suggested that a bandage dipped in the oil be wrapped around the affected area. Nevertheless it should be loose enough for air to pass through. • For eczema of the scalp, it is recommended that steam be applied to the scalp after the oil has been massaged in, as this will further the absorption and give better results. 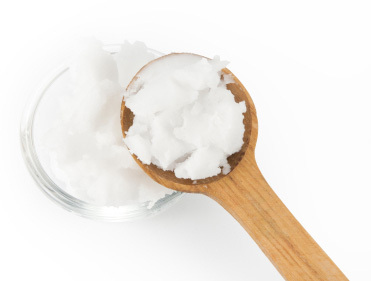 Coconut oil has been reported as a safe remedy for eczema and a wide range of other skin problems as well. It is said to have almost no side effects. However, the treatment takes some time and does not show immediate results as would the medications used used for curing eczema. These medications, however, unlike coconut oil, may prove harmful in the long run may prove to be harmful. Babies, too, have been treated with coconut oil which further proves how safe it is. In conclusion, treatment of eczema with organic coconut oil needs to be inclusive with other changes in lifestyle and diet. It is also essential to determine the underlying cause of the disorder for a complete and conclusive treatment of the disorder.